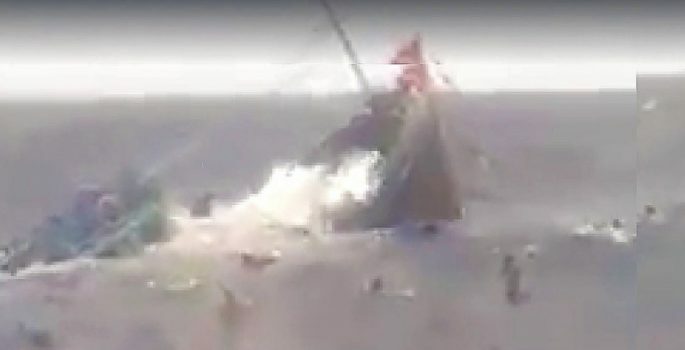 Southeast Asia has descended into a maritime insecurity spiral since the April–June 2012 stand-off at Scarborough Shoal between Chinese maritime security forces and the Philippine Navy which led Manila to initiate legal arbitration proceedings in The Hague. The ruling by the Permanent Court of Arbitration’s (PCA) in favour of the Philippines will be difficult to enforce. To forestall an even more intense security dilemma in the South China Sea, regional policymakers should not lose sight of four vital underlying strategic trends. First, the power asymmetry and economic interdependence between China and Southeast Asia will continue to grow. 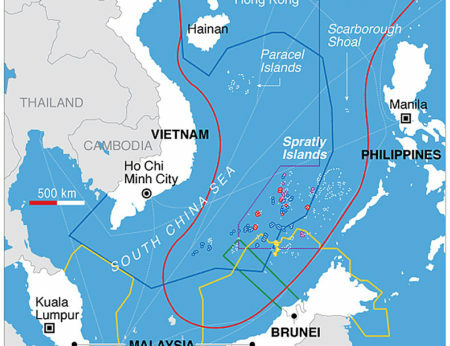 While this does not mean that China’s smaller neighbours should give up their territorial and resource claims, they do necessarily have to sustain relationships with China that are wider than just the South China Sea disputes alone. Second, the United States is no longer the only great power operating in maritime Southeast Asia. As China’s military capability and economic interests expand it wants to secure access to the region’s sea lanes, territories and economic zones. This obliges both Washington and Beijing to find mutually acceptable rules for maritime usage, if only because neither wants to go to war over rocks and islands per se. Third, China is most likely to continue on its path of national development within the existing international order — because it has benefited enormously from it, and its key economic partners sit within it. Ultimately, because China’s successful domestic economic transformation could be undermined by regional instability, we may expect the Chinese leadership to temper the excesses of its territorial claims. For a rising power like China the downside of accepting the existing order is having to give less powerful states more regard than their capabilities alone deserve, such as by respecting unfavourable international legal rulings. Yet the upsides are significant because many existing international rules also favour the more powerful. For example, as China develops more long-range naval capabilities, its leaders and military too will appreciate the right to ‘innocent passage’ in others’ territorial waters and to military activities in their exclusive economic zones, which they currently oppose for the United States. 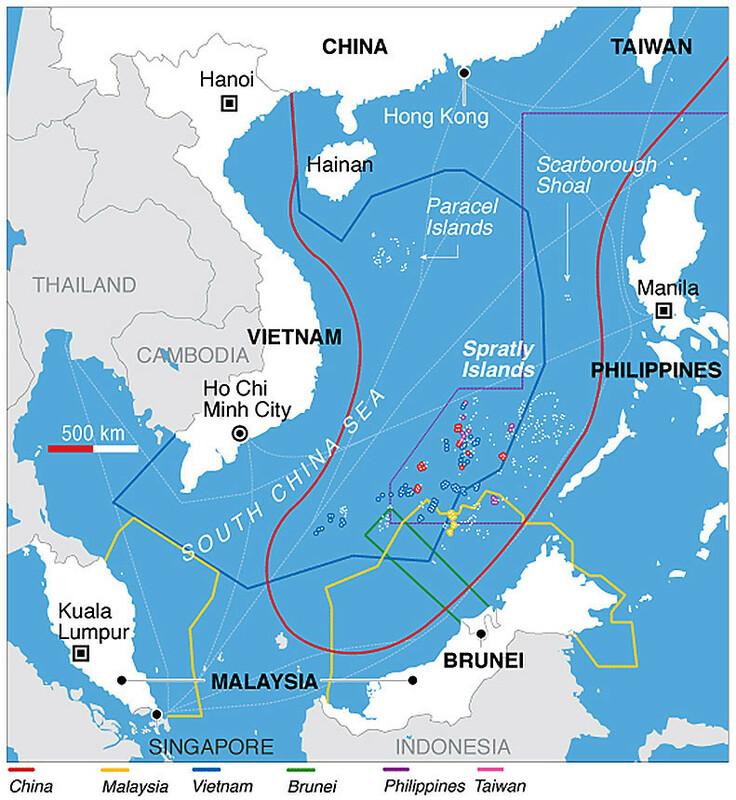 Fourth, the most dangerous element of the South China Sea disputes is not island-building, territorial claims or freedom of navigation, but rather intense competition over rapidly declining fishery resources. Armed disputes over fishing grounds have long been fairly common in the area but these are now exacerbated by large-scale commercial fishing. Growing involvement of coast guards and other national maritime security agencies threaten to turn such fishing disputes into bigger regional conflicts. Where does this leave Southeast Asia after the PCA ruling? The Philippines (and other claimants) have secured important moral high ground in the disputes. But the judgment by itself will also not wipe clean the South China Sea slate; the region will still face the same knotty problem of seemingly irreconcilable territorial and resource claims. All parties should seize the opportunity offered by this legal juncture to regroup and refocus on the wider strategic picture. Effective management of these disputes will require maintenance of relationships with China, resolve and restraint. Focusing on Southeast Asian states’ relationships with China means acknowledging and upholding the PCA ruling, while resisting the temptation to beat China over the head with it. More urgently, Southeast Asia needs to work with the United States and other partners — including Japan, India and Australia — to convince Chinese leaders about the value of stabilising China’s relationship with the region. Credible and intelligent resolve will be required by all parties to prevent localised disputes from spilling over into large-scale armed conflict and to deter aggression by rival claimants. In this regard there is widespread support from Southeast Asian states for the US military presence in the South China Sea and for continued assistance by the United States and its allies to boost maritime surveillance and defensive capabilities of claimants such as the Philippines and Vietnam. But intelligent resolve requires that such freedom of navigation operations are not deliberately politicised and publicised in order to castigate China. The legal point has been won and in principle the question of freedom of military navigation is moot. In this context, politicising such routine operations in international waters would paradoxically legitimise China’s sovereignty claims by suggesting that they have merit. Everyone should expect to extend to Chinese forces the same right to innocent passage in regional and international waters. Deterrence policies will elevate tension because shows of force tend to generate similar responses. And coercing China into halting its island building or resource exploitation will require actions like blockading Chinese forces or destroying Chinese construction — offensive actions that are likely to trigger war. A more attractive bet for Southeast Asia will be trying to bring about voluntary limits to these claims. The PCA ruling should not detract from the longstanding conundrum of how to agree on a much-needed code of conduct for the South China Sea. The Asean–China South China Sea Code of Conduct (CoC) remains the most promising avenue to cultivate restraint by claimant states. But a negotiated moratorium of activities under the CoC will now have to cover an expanded list of activities, including blockading features occupied by others and island construction. The CoC will also have to grapple with defining and delineating disputed and undisputed areas. And the urgent problem of managing conflicting resource claims, especially fishing grounds, will need to be tackled either within the CoC process or independently of it. Regulating restraint in the South China Sea is a very tall order and requires Southeast Asian leadership. Southeast Asian states must respond to the PCA ruling constructively and push forward with agreeing to the outline for a CoC consistent with international law that all member states can commit to upholding. Having demonstrated unity in restraint, regional states can then hope to persuade China and other players to sign up. This article was written by Evelyn Goh, the Shedden Professor of Strategic Policy Studies at the Strategic and Defence Studies Centre, the Australian National University. It is first appeared on East Asia Forum under a Creative Commons licence and is produced here with its permission.